The Sway of Contentedness. By Hariod Brawn. The Sway of Contentedness is a book which encompasses all of the subject matter discussed on this site, though is not a duplication or reproduction of articles appearing here. It’s written as a comprehensive overview of the mind and mental culture practices, detailing descriptions of contemplative states including that of non-dual awareness. Three sections of aphorisms aid learning and invite pondering, and the whole is structured as a linear, progressive learning process suitable for the capable, though non-specialist, non-academic reader. 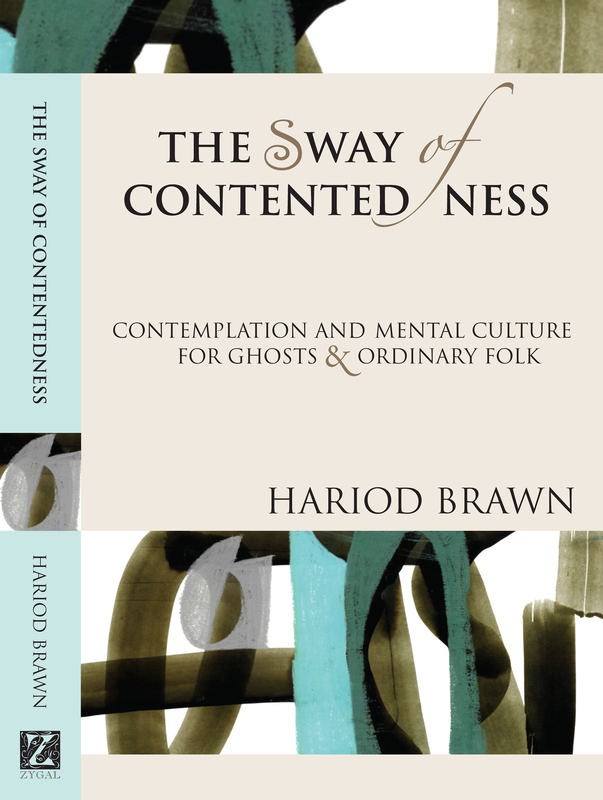 For anyone wanting a handy physical reference book for the various ideas discussed here on this site, The Sway of Contentedness is the ideal companion text. The writing style is straight forward and at times humorous, whilst being formally correct at the same time. This approach assists the reader’s comprehension, as descriptions of the mind and mental states are of no benefit when written in a wishy-washy style. Some strong opinions are expressed about contemporary takes on ancient philosophies, and which may challenge those wedded to particular ideologies or systems. Watkins Books is London’s premier stockist for all esoteric titles. You can buy The Sway of Contentedness there, as well as having a wonderful experience into the bargain – a treasure of a book store in the heart of London’s West End. 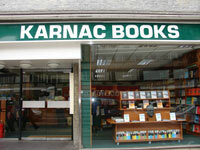 Karnac Books is the U.K.’s foremost specialist store for texts on psychoanalysis and psychotherapy. You can buy The Sway of Contentedness there, and view many academic titles not available at any other store in London – a unique place. Hariod, I very much admire your presentation and your clear description of the content and personal position on, on what? You hint at meditation (widely misunderstood as a form of clearing one’s mind, as if that could be done), and you seem to hint at a deeper understanding of or connection to a deeper experience of life, without giving it all away. That requires a higher intellect than I possess. I personally do not expect to ever not be discontented about wanting to be more than I am and needing to know more than I now know. I envy your peace of mind. Thank you for taking the time to explore a little of my site Jean; I appreciate it. You ask what the fundamental position is in regard to my writing. Simply put, I aim to avoid alluding to the mysterious, the esoteric and the arcane in writing about the nature of being beyond the narratives of selfhood and personal identity. The focus is on our emotional and psychological welfare; and whilst what otherwise might by some be construed as the human desire for either a spiritual or metaphysical aspect to life, I choose to ground in our felt reality, in the warp and weft of actual lived experience, or in life as it can potentially be lived with an accommodating mental culture. There is so much conceptual confusion surrounding ontological matters such as the nature of the self and of experience, that I feel it’s helpful to enfold all discussion within what may be directly known, and in terminology that has meaning to us all. My writing skills are perhaps meagre and untutored, yet nonetheless feel that even a humble attempt at contributing a little in this area is a worthwhile objective. Thank you for the suggestion, Hariod, I will check our Watkins. I love going on literary tours around London. I’m curious. I’ll keep checking your blog. Your photographs drew me in with the smiles and laughs – nice and unusual these days. Why does so much communication and news these days have to center on angst? It’s an honour to have a talented artist and writer such as yourself visit my site Carla. As to your question, though it is rhetorical of course, I have no answer in any case. I’ve just started putting this site together, and whilst I find the writing very satisfying in itself, I’d like to create a place where I and the readers can learn together in a visually pleasing space. I’ve no skills whatsoever in website design, though I take care in choosing photographs and paintings to display alongside the articles. It’s very gratifying that you should show your appreciation of the visual aspect of the site Carla – only one other visitor has so far, and she (Liz Doyle), is an artist too, from Donegal in Ireland. With gratitude and great respect. Just purchased your visually beautiful tome and am looking forward to reading it for content as it is now currently floating in something that I did not know even existed until now called a ‘Kindle Cloud Reader’ (no tangible copies were available for purchase through Amazon, USA). However, as I often can already be found to have my head in the clouds clearing space for remembrance of the sky, I think this format in the cloud for reading will be absolutely perfect! I can even feel the signature of a personally signed copy, which was discovered when I sat with a few of the words read out loud to the ear in my heart. Beautiful H, just beautiful. There’s never any obligation sensed in responding to the Dame of Macadamia, the divine Miss M.
Hariod, I, too, have discovered how to extend my presence into the sky kingdom of the Kindle Cloud Reader, and am much enjoying my Contented Swaying now with my virtual copy of your words and experience. Your prose is rich, delicious, erudite and thought-provoking. Having some tiny sense of the effort and dedication involved with creating even one paragraph of such prose, I thank you for the investment you have made into all who pass through here, an investment which will no doubt ‘pay back’ in countless lives in myriad forms, places and times. Much appreciation . . .
I’m genuinely so flattered and appreciative that you have taken the time and trouble to download the eBook, and even more so for any further time you might spend exploring its content – thank you. Personally, I’m not a great fan of eBooks, and if at heart you feel the same way, then I’d happily mail you a gratis copy of the paperback which, I feel, is altogether a more satisfactory medium. I have no distribution for the physical book other than here in the U.K., so the eBook at least has the merit of overcoming that hurdle in one globe-girdling stroke, and of being low-cost too of course. See how you get on with the Cloud Reader, and if you feel comfortable with the idea, then let me know (via my contact details in your dashboard), some neutral forwarding address and I’ll do the necessary as a small token of my appreciation for your presence and support. P.S. I have no idea what country you are in Michael, but I will post to wherever that is. Your book looks so intriguing, I may have to buy it. Thank you for following my blog and for complimenting my son Will’s music. He is very talented (yes, I know I’m biased), but the main thing is that he really enjoys his music with a passion and has some wonderful musicians around him. My Border Collie is female – I’m sorry to hear of the loss of your dog. I can’t imagine how painful that must be – but, unfortunately, I will find out. My parents always kept lovely dogs but I perceive ‘Shadow’ to be mine and she has grown up with our children – so precious. My thinking is that we have tried to give her a good and rich life and that is what is important at the end of the day. Your blog is fascinating – I shall be reading it with interest. Many thanks for taking an interest in my writing. I know that you have much meditative experience yourself and so if you feel you can contribute or expand upon any of my articles then I would most certainly welcome your input, as would other readers here I am sure. Thank you also for your kind words about ‘Nellie’. She was a quite exceptional being – incredibly sensitive and affectionate – and I am certain that ‘Shadow’ will echo those characteristics herself. I gather that ‘Shadow’ is 12 years old now, and I daresay that with all that lovely Brightonian sea air, she will have a good few years to come – treasure each one of them Mary. I wish both you and your son Will every success in the future.
. . . so excited to read the companion piece alongside. !!! ~m !!! As you appear to have been so gracious as to have taken a leap of faith with my eBook, then please do read again the response I made to our mutual friend Michael on July 26th. at 7.18 p.m. All of the content of that comment freely applies to yourself too dear Meredith, and I will leave the matter in your hands to do as you see fit. And what a beautiful bookstore Watkins appears to be from the photo – a glowing home for your work. Thank you so much for your kind words of support Lauren. 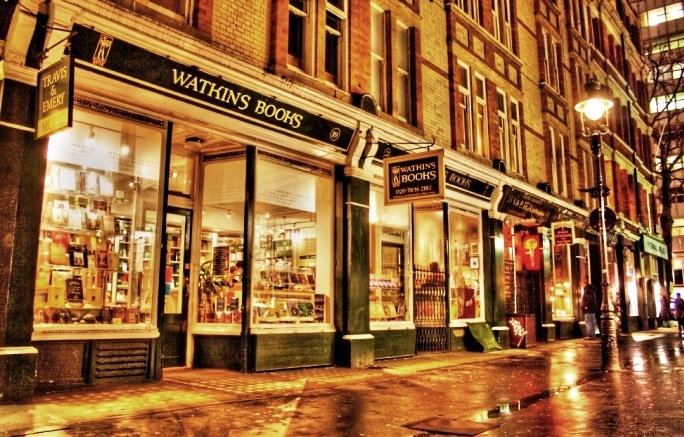 And yes, Watkins is a very famous old bookstore right in the heart of London, and so I’m delighted that they’ve chosen to represent my efforts there. I must say though, that I find this website to be more rewarding than having a book published, as I get to have an immediate interaction with readers such as yourself; and this is what inspires me more than anything. With all best wishes to you dear Lauren. I feel the exact same way and can understand why it’s so rewarding for you. I’m delighted to see all of these folks engaging and sharing as the result of your beautiful efforts. A gift for us all. Congratulations again and gratitude. I’m so happy to be connected! “I have come to know a British individual that has had a history of involvement with the Theravadan Community in Britain among other things. He had discovered some of my blogs and communicated to me through this. We seem to share a like mindedness. He has written a book that I purchased on line from Amazon. He has offered to send me a personal copy as well. In the many books that I have read about this topic I have never read a book that describes the process of coming into presence that resembles my own direct experience and that I can relate to in such a way. He talks about the feeling of it being delicious as we enter into presence and makes the distinction between presence and awareness with clarity. At first it can seem technical but than it becomes increasingly clear that this is not conventional philosophy. He just uses concepts and selective and unique vocabulary to describe the process which he has discovered from his own direct experience and, I might say, practice. I am tremendously humbled and appreciative to hear of your very kind and most thoughtful words as detailed in your letter to your friend Anne. I receive precious little feedback on my book to be honest, with only four reviews worldwide on Amazon so far; and so your words are a tremendous encouragement and, as I say, so deeply gratifying. If you were willing to post an edited copy of your letter to Anne as a comment on Amazon it would be a great help to me, and if you felt able to oblige in this way then it is a straightforward matter of signing into your Amazon account and clicking the button labelled ‘Create your own review’ on the page for my book. You will be recognised as a verified purchaser Gord, which always lends credibility to book reviews of course. Thank you so very much Gord. Thank you so very much for showing an interest in my writing and for being so generously trusting in committing to a purchase. I hope very much that you find something of interest within the pages, and would be touched further should that prove to be the case. I must apologise for the difficulty in purchasing through Waterstones; they have been going through major upheavals in recent times but seem finally to have steadied their ship. They are now giving more autonomy to individual stores whereas up until recently they had a rather daft policy of either stocking, or not-stocking titles, across their entire network. That certainly did not help niche titles like mine. And yes, Amazon for me is, I am afraid, something of a necessary evil in that my title gets sold around the world in eBook format by them. I only have distribution for the physical book here in the U.K. you see, and yet most readers are outside of this territory – hence the need for the ghastly eBook and Amazon. The people at Karnac are jolly decent, and so your purchase there pleases me all the more. Thank you very much indeed; your kindness and interest are treasured. And so I have brewed a coffee and dedicated this afternoon to ponder your internet webbed foot domain. This book does not look at all boring. Quite the opposite to be exact. I shall and will buy it when funds are sufficient and read it and reflect and then hand the mirror towards you. Interesting way of having the blog support the writing. Internet-resting, Hariod. Thank you Jessie, for casting an eye over this dusty corner of my site. If funds are short then all the more reason simply to ponder the odd post here – they arrive only once each lunar cycle, each being consumable over a mug of freshly brewed coffee and well within such a time frame. In any case, I do a special concessionary rate for artists who I have come to know and like through this site or their own, and offer to send a paperback gratis to wherever they are in the world. The book is not a profit generating exercise; it was more a labour of love actually – a long story. Oh no, you’re too kind; no, I will buy it, most defiantly, with that stuff called money at full price. That’s the energy exchange. A lovely balance. Looking forward very much to reading it. Your book just arrived, and I’m looking forward to contentedly digging into it this evening. Cheers! Thank you very much; I am humbled by your interest eM. Please feel free to contact me here if you have any questions concerning the book’s contents; I will be more than happy to oblige. Being a ghost, I intend to some day read this book. All will become clear upon the reading; spookily so. Thank you for your interest; I appreciate it greatly. How, how, how have I gone this long without knowing that you wrote a book?! Consider it enthusiastically bought! I am gratified and humbled by your interest Madalyn, though should warn you that it is a manual of contemplative practices, and is best treated as such rather than as a light-of-step wander through philosophical musings. Then again, I have priced the eBook as low as Amazon will permit, and should it not prove to your taste then the loss should be less than the price of a coffee. Thank you for your kindness, and it goes without saying that I shall reciprocate once your novel is complete. And please, do make sure you finish it; I am more than certain that the reward will be worth the considerable effort. And who knows, unlike my own title, yours may actually garner some mainstream interest? A whole lot less than you think! Thank you John, you are a brave and reckless soul, and if you loathe eBooks as I do then email me an address and I will pop a real copy in the post, gratis. I was going to buy the hard copy, but the [Brazilian] Real is in an appalling state at the moment so one has to times by five [to convert to Sterling] any purchase. But don’t worry, I like eBooks. I don’t actually like mine as an eBook, though, because the formatter buggered it up and I think it’s hard to read. I just bought a physical edition of TOOAIN online at Amazon, though it will take me a while to read and review it as I have a bit of a backlog, as always – but I will, of course. Tell me John, what is your means of having physical copies available across the globe my I ask; could it only be done with what are (more or less) print-on-demand versions? That’s how I’m doing it, through Createspace. I never even bothered trying to approach a publisher. The market is too small, too specific, so for now I’m happy with it being this way. I have just purchased you book and I am so happy about it! It will be in my hands either on the 21st. or 22nd. of Dec. It’s just the right time before leaving for my Christmas holidays. I would prefer to buy it personaly at Watkins bookstore in the West End of London, but can’t wait till summer. I am proud to own it now and I’m looking forward to reading it. I so much like your thoughts, and above all your advanced writing style which has the characteristics of ‘Britishness’. Thank you, my friend. Thankyou so much for taking this further interest in my writings, and the fact that you would order the physical copy to be shipped to you in Greece is all the more humbling for me. I must apologise for not having worldwide distribution for the physical version – just the eBook – but I could only have achieved that by using Print-on-Demand services which do not give the same quality of reproduction. It sounds as though you have ordered through Watkins, and they will look after you and your order, so I am sure the book will arrive by the dates they have stated. If you have any issues, then do feel free to come back to me personally and I will of course take care of it. I do hope you have a wonderful holiday break dear friend, and hopefully we shall hear some report of it on your site in the New Year. Here I am again to let you know that your book is in my hands! Unfortunately, I ordered it through Amazon, and paid an expedited delivery to speed things up. I received it much earlier than was expected, though am so glad about it. The first page I opened says: “Written as a labour love …. always returning; always at one with the stars.” So very noble, so very moving, dear Hariod! Seemingly, you have put your soul into it as well as your knowledge. Thank you, my friend. Finally purchased your book Hariod. As you mentioned, the estimated delivery here to the States and my address is March 2-15. I believe they said 2016. *wink* Looking forward to its arrival! I am very grateful for your kind and generous support professor, and also for your considerable forbearance. I suspect the book will arrive much before the estimated dates, as when I have sent copies to friends in the States previously it never has taken more than ten days. I do hope that your recent good news on both career on romantic fronts is continuing to bear fruit for you, or at least blossoms, and do please accept my apologies if you have updated all on the matter at your own site, which of course has been beyond reach for me of late. Blessings on the day professor! No updates to share at the moment on the two fronts, but stay tuned. Still in the local library professor, catching up with comments on my latest offering and elsewhere, being sure also to retain your Top Ten status, naturally. I certainly shall stay tuned my friend, as the song goes – see opening comment in my latest post, or are you making a subtle reference to that? Either way, I very much hope that the recent positive news is still relevant and, indeed, productive of further encouraging news. Mahalo, professor! I shall be back online at home by Monday apparently professor, so shall be sure to drop a quarter in your slot sir. My goodness, it’s been a long time since ever I did that, or held a broadsheet in my blackened hands. I trust that the romantic editorial shall be both divulged and indulged INXS! One senses that distance may be a limiting factor; although I daresay your powers of ‘devoted thought’ are beyond compare – keep polishing them professor! My phone and internet services, along with the rest of the village I live in, has just leapt startlingly back into action this very morning here at home after having been down for twelve whole days professor. As a consequence, I have around 140 messages to work through before reading a single of the missed blogs I subscribe to. Nonetheless, as you are firmly in my Top Ten – currently around Six or Seven actually – I shall attend to your latest offerings forthwith, for I sense important news is afoot. As with Google page rankings, it appears to be so that the less we exert ourselves in manipulating the matter, the higher we ascend. It seems wholly unnecessary with yourself professor, simply to admonish (in the positive sense) along the lines of “be yourself”, as I hardly think you know any other way. That being the case, then may you climb Mr. Dylan’s Ladder to the Stars, or at least here, to The Cloud, in your own inimitable manner good sir, as I am certain you shall. Aha, sixteen days – nowhere near as bad as the Amazonian’s suggested; good. Though knowing you now just a little better, I still feel it won’t be quite your cup of tea professor, and it is – apologies for the repetition here – primarily a manual for a range of contemplative practices more than anything. That said, your interest and support is most gratefully received, and I only hope the wait and expense incurred, along with the text, does not prove too much of a disappointment for you. Watkins Books may be very nice. I shall try to remember to visit on my next sojourn to the smoke, but I also love Stamfords, don’t you? I used to have an office between Covent Garden and Soho, and do recall a lovely old book shop called Stanfords, so don’t know if that’s the ‘Stamfords’ you’re referring to? It possibly is, as it’s a map and travel book store, which would seem to embrace one of your prime activities. I’m rather saddened how the Central London I knew of thirty and more years ago has been steadily supplanted by corporate influence and homogeneity. Stores like Watkins and Stanfords are some of the last threads of continuity, and I think well worth supporting. Yes, right as usual, H. Apologies for the dubious typos. Small world: I used to work in Bedford Street, right opposite Moss Bros, and had very many dubious lunches in The Garrick, or whatever that club was right opposite. I loved it as it was close to the homeless hostel (within the old hospital) around Charing Cross. A really interesting part of London, or it certainly was. I featured Bedford Square and Fitzrovia in my last post, in fact. I think much of the magic’s gone now, as a result of the takeover of corporate interest and the super-wealthy. But that was my stomping ground in the late seventies and early eighties. I then moved offices to Holland Park, which in turn became subsumed in gentrification, though when there possessing a village-like feel. This was all before Grant and Roberts did Notting Hill, which expedited the gentrification. Bedford Street, not Bedford Square, and it was the Concert Artists Club. Bit louche, as one would expect. Did you ever know an Edward Dickson, a sort of solicitor who ran out of Holland Park? Ah yes, I was thinking of Bedford Avenue, not Bedford Street, and it’s the former which lies adjacent to Bedford Square, whereas the latter is some stone’s throw or two away. I can’t recall any Edward Dickson from Holland Park, but then my solicitor (or, as you say, ‘sort of solicitor’), was over at Lincoln’s Inn Fields, across town to the East. Oh, dear Marie, you’re so sweet and thoughtful. In truth, I felt I should grant readers here some respite after my last, appallingly oblique, article. Oddly, I received a lot of feedback on it, but the overwhelming impression I had was that many were simply perplexed at the ‘nothing happening’ notion. I have pledged to make my next more down to earth and relatable, so really ought to get my thinking cap on. In truth, it hasn’t even been conceived as of yet, so if you have any ideas? Dear Hariod, I am a little disappointed that the new ‘baby’ has not been conceived yet, but heartened, nay, indeed flattered, that you would welcome me planting a seed of sorts with regard to your upcoming post. I really thought you had already decided whether it was going to be a girl or a boy when you mentioned last year that your next post would be in February. After perusing your site for some while. I realised that you’d not written anything yet — hence the gentle/subtle reminder. You have a tendency to talk about well-being, and may I be so bold as to suggest something along the lines of how damaging bitterness and resentment can be on a person’s well-being, and how to avoid falling prey to it, or how to deal with it, in a satisfactory way so as to ensure that one actually confronts and manages the situation? And by that I mean not holding on to it or repressing it, but handling it in such a way as to achieve a sense of well-being and contentedness? Thankyou very much Marie, it’s in fact an excellent idea, and I shall think further about that. My hesitation is that I’m not certain I can sufficiently address the matter without getting bogged down in the nature of thought — and that’s really where I see the nub the of the matter residing. That though, is a very complex issue, and approaching it from such an angle entails dis-identifying with thought and one’s thinking, which is not so easily done at all; far from it. I do know of, and have decades of direct experience with, contemplative practices on Loving Kindness, which are extremely powerful in addressing and resolving enmity. Most of the religious traditions have variations on the theme, but the one I practised was from an Orthodox Buddhist tradition and is known as ‘Metta’. People will often think that thought alone cannot heal emotional wounds, nor beneficially affect their emotional states on an on-going basis, but that is incorrect — they most certainly can. Metta is a wonderful boon in daily life, and not just a way to ease the mind for the duration of its formal practise. The effects endure, so long as the formal practise is regular, and even if only for as little as 5 minutes a day. The formal practise is to be conducted by initially sensing a place of love within one’s own heart, then spreading it out to loved ones, then to one to whom animosity or resentment is held, before returning to the sense of harbouring love within oneself. There was a wonderful and deeply venerated German nun called Ayya Khema — she died 10 years ago — who left a recording of a guided meditation on Metta and which is available on YouTube. If you are interested, then I would encourage you to spend just 15 quiet minutes with it to see what you think Marie. You need to be seated comfortably and quietly, away from all distractions. Please note that this is a real mental skill that requires development, though I can’t stress enough how powerful and effective it is. I have been using a similar technique for close to 30 years. Once the principles of the practise are established, then the idea is to personalise it to one’s own character. For now, I shall think further on your fine suggestion, and leave you with Ayya’s soothing voice in her guided meditation. Do please ignore the rather poor audio quality, but it is in fact quite helpful for her to sound just a little distant, I think. So, when you have a spare 15 minutes, and are away from all distractions and quietly seated with eyes gently closed, why not give this a try? Thank you Hariod. You are such a dear, kind person to spend so much time on me. Regarding your first para: I say go for it! Don’t worry about it, just write! I’m sure your ideas will become something close to perfection on the topic — I have such faith in you and your ramblings. Please note, “ramblings” is not a criticism in any way, but the very fond way I look at your masterpieces on completion. Thankyou very much for your kind words of support and encouragement in my efforts here, dear Marie. With Metta, Hariod. Yesterday I stopped by here to catch up on the latest comments upon THE S WAY OF CONTENTED NESS, and was I ever rewarded by your mention of Ayya Khema: German Buddhist teacher — contributor to all things metta? Yes, I was. Yes. So kind of you to express an interest, dear Bill; thank you. It is tricky offering recommendations to others in the sphere of what might be seen as religious teachings, as I’m sure you’ll appreciate. But this isn’t religion, or religious cosmology, just sound and very practical good sense, and Ayya Khema is widely revered and acknowledged as having been a wonderful adept of Buddhist contemplative practices. It’s great that you can listen to her in her own native tongue. Thanks once again, Bill, and all best wishes, Hariod. Deep thanks for the work you obviously put into your book. Many of your insights resonated with my own experience, although your extensive and developed insights reflect a much more patiently rigorous commitment. Finding rare confirmation and further understanding through your writing has softened my estrangement in this dreamscape; I’m finding some ground in presence as the restive questioning subsides. Title of review: Lucid and transformative insights presented in a direct, creative style. Hariod Brawn provides lucid phenomenological analysis of experience and detailed “how to” on cultivating abidance in the subtle–yet profoundly insightful–sense of being beneath the clamoring–but superficial–ego chatter that anxiously rattles the mind. Her revealing and indicative conceptualizations evidence patient thoughtfulness based on prolonged deep introspection. And the distinctive style, delightfully fresh and creative, makes the commitment required to provocatively engage all transformative writing alluringly effortless. Reading in philosophy, neuroscience, and psychology, long have I fancied finding a treatise that explained the essentials of our human experience: This is it. Repeated readings continue to inform and inspire contemplation. Well aware peculiar causalities color our individual affinities, still I am convinced Hariod’s magisterial yet affable book deserves the widest possible audience among those who seek a ground of significance beyond the ephemeral, culturally-intensified indulgences and distractions serving our baser proclivities. So kind of you, Michael, and as I have replied to you elsewhere on this I shall do no more now than to offer once again my deep gratitude for your kind and generous words of encouragement, and not least for all the time and effort you have given to considering my offering in TSOC. Thank you, truly. With all best wishes, Hariod. Thanks for offering your wise presence on my posts! Looking at getting more contented so I’m getting a copy of your book. Many thanks, David. If you are buying a copy of my eBook, and if you would like me to do so, I will very happily send a gratis copy of the paperback to your address in California or to whatever address you may wish one to be sent. Just email me off-blog with an address if you would like to take the offer up, my friend. Hope that you too are well and happy — sending all best wishes and thanks, Hariod. Happy to hear from you, Hariod. I’m mostly well & happy. I’d be happy to accept your kind offer.